Here’s a protip: Save your contacts! Should your computer need to be reformatted or upgraded, you run the risk of losing the contacts you email on a frequent basis. 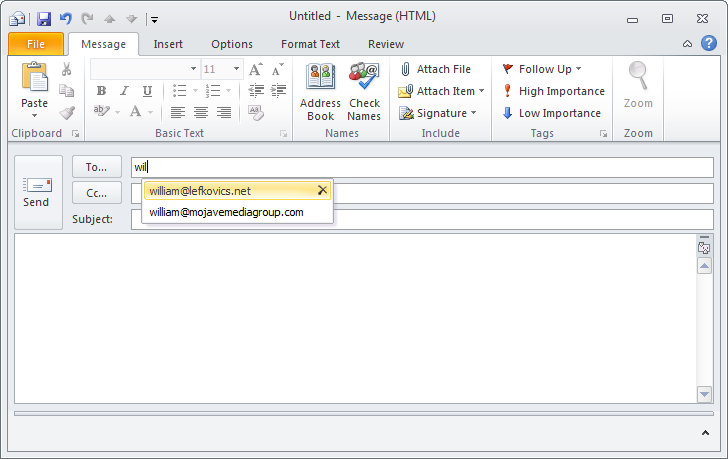 When you start typing a name in your address field and Outlook offers completion suggestions, that’s called auto-complete – and that does NOT get backed up anywhere. It’s really that simple: plus it takes away [some] the woes of your IT Administrator.